Climate change is affecting all regions of the globe, but some places are more vulnerable than others. Parts of East Africa are already seeing the effects of climate instability, with those dependent on farming for their livelihood among some of the hardest hit. 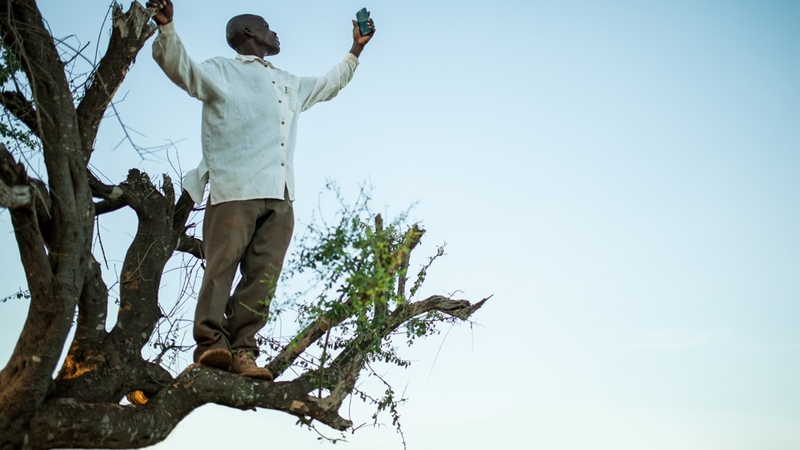 Refusing to fall victim to the weather, Kisilu, a Kenyan smallholder farmer, uses a camera to capture the human impact of climate change. Filming over four years, he documents the floods, droughts and storms that menace his and his community’s farms, forcing some to stop tending the fields and seek work in towns and cities. In March 2011, I left Norway for Kenya with the hope of finding a farmer-family that would be eager to collaborate in telling the untold story of how climate change is affecting farmers in the Global South. My motivation to tell this story came to me in 2010, when I realised that the public debate on climate change was centred on sad polar bears on shrinking ice floes, or numbers and infographics. It seemed as if the human side of climate change had been forgotten. I felt there was a need to direct attention to those who have done the least to cause climate change, but who feel the impacts more than anyone; Small time farmers in the Global South. 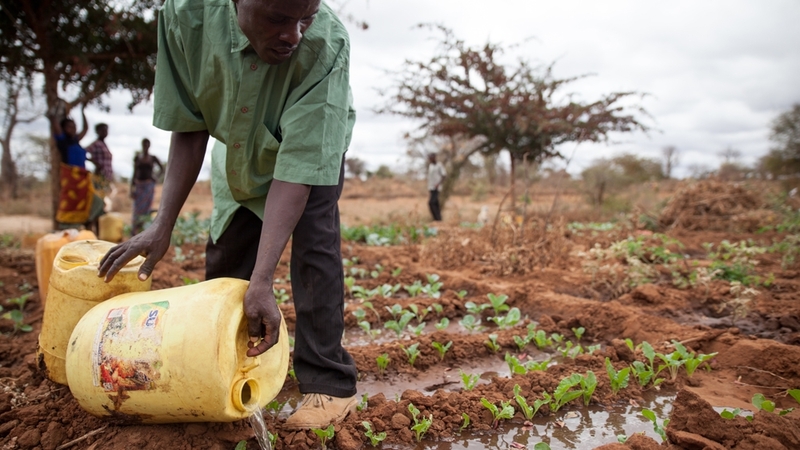 Due to climate change, farmers across the globe are facing challenges such as extreme drought, flood and storms, all of which are affecting their livelihoods. During my first two weeks in Kenya, I met with a great number of small-scale farmer families to find a good match for the film, but it was difficult to find someone that I connected well with, that knew English – and at the same time had farming as their main income generating activity. I had started to lose hope of finding a family to make this film together with, but finally on the last day of the research trip I was introduced to Kisilu and his family and it was “love at first sight”. Kisilu’s passion when he talked about his vision for his family and his village captivated me and right away I knew I had found the right person and family for the film. Luckily enough, Kisilu and the family also felt a connection with me and agreed to having my photographer and I stay with them, day in and day out, for the next month. During the following month, we stayed with Kisilu, his wife Christina and their seven young children, and Kisilu got access to a camera that he eagerly used to capture his own video diaries, to share the story of his life and how climate change affected him. His creative, raw and honest way of sharing his story through his video diaries adds something truly special to the film. The month we stayed with Kisilu to film was supposed to be the wettest time of the year. Instead, we experienced a rainy season with almost no rain – for a large part of East Africa, it was the worst rainy season in 60 years. Kisilu’s unceasing optimism was stretched to the limits as he had to worry constantly about having enough food and money to send the children to school. However, Kisilu never gave up his fighting spirit, and in incredible ways he always found motivation to keep up the hard work towards long term change and impact. However, though Kisilu looked calm and talked only positive and visionary words, when I got to know him better he revealed that there is a real storm inside him. He feels that he has to look calm to keep the spirit of the family and the community up, but on the inside he is worried about today and the future. One evening he told me how much it hurts when his children are sent home from school, as he knows education is one of their main chances of having a different life than him – a life where they do not need to rely solely on farming because farming is becoming too unreliable. He feels as if he is stuck in the poverty trap. He struggles to pay his children’s school fees, but he knows that education is the way out for his children. As we stayed with Kisilu and the family the drought got worse and worse. Then one afternoon suddenly, in the horizon, we could see rain clouds approaching. Kisilu was extremely happy to see rain in sight. Ten minutes later, the children were dancing and celebrating in the rain. Unfortunately, the happiness was soon replaced by distress; the rain brought with it a strong wind that carried the entire roof of the family’s house away. I can still remember today how it felt to be inside the house when the roof was torn off, and how we barely escaped the iron sheets and the falling bricks as the house started collapsing around us. In the end no one got hurt, but the family tragically lost their house in that storm. However, Kisilu’s ability to be optimistic and find solutions continued to surprise and impress me. Even with no house, Kisilu managed to look on the positive side; that finally, at least, they had gotten rain. A few days after the storm, Kisilu had managed to collect building materials, and with help from a friend he started rebuilding the house. Kisilu and I developed a close friendship and I have been back four times to film him and his family over the course of four years. I have got to follow Kisilu’s incredible journey from a small time farmer to a local leader who is bringing farmers together in the fight against the ever-increasing drought and storms. Kisilu and the community now have several self-help groups where the community stand together to find solutions to their challenges and share knowledge on what they can do to adapt and mitigate climate change. Kisilu is one of the most inspiring individuals I know and I am so happy that more people now will get a chance to “meet” him through Al Jazeera. Kisilu has been invited to speak at the UN Climate Change Conference in France this week. That, I believe, will be one of the biggest moments of my life, to see Kisilu share his story with world policymakers. 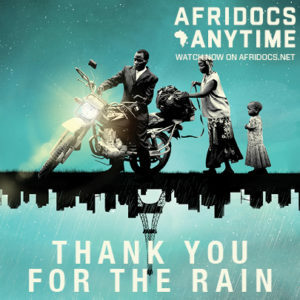 We made this film for Kisilu’s story to reach as many as possible and to inspire people to take climate action and fight for climate justice – and now with the film screening on Al Jazeera and Kisilu being invited to Paris I think we have come a long way in making this happen. Our next step together is to make the film into a feature that includes Kisilu’s trip to Paris, for which we need all support possible in funding it through Indiegogo and in helping to spread the word when the film is released in 2016.